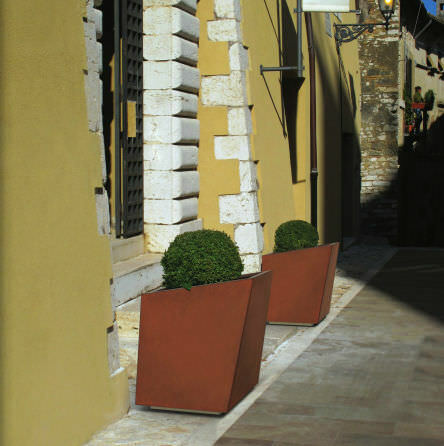 Irregular shaped planter, made entirely out of steel sheet. It is equipped at the bottom, with a base with fixings to regulate its slant. 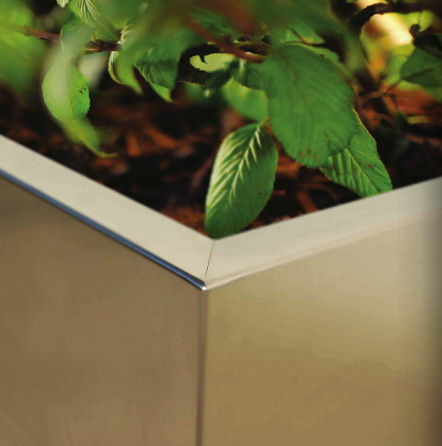 Each planter can be accessorised with two stainless steel plates which can be used to attach name-plates or labels. Available in different shapes, can be combined with other components to form groups, islands or straight lines.